On May 11 2013, the blasts in Reyhanlı, Hatay caused the death of 52 people. As was covered by the media, the claim was brought up that the Government was aware of the preparations for the attack before it took place. On May 22 2013, a hacker group named RedHack posted on their website the military correspondence indicating that the government had preknowledge of the attack. The existence and authenticity of this correpondence was accepted by the cabinet members. With the claim that the documents put out were in the form of photographs, were not hacked from an official government website but instead leaked, government officials began looking for a perpetrator. The documents CLAIMED TO BE LEAKED by Private Utku Kalı reveal the gravity of the faults which cost the lives of the citizens of Reyhanlı, Hatay. These faults are without question far more important than the leak itself. Yet the incident of the leak has largely overshadowed them. 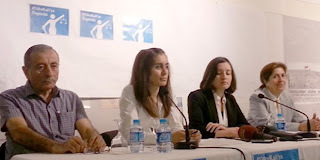 Due to his desire to learn the nature of the allegations against him as well as his wish to testify upon the presence of a family member who was also a lawyer, Kalı was held under custody beyond the legal limits. The other private was released on the grounds that “the leaked documents did not enter the system during the hours in which he was on duty,” and he was sent back to his unit. Private Utku Kalı was arrested upon appearing in court. Although Private Utku Kalı is the “suspect” of an ongoing investigation, his name is under circulation in the printed and social media as “the private who leaked the documents.” Yet despite the claims of those persons and institutions who hasted to give an advance verdict, Private Utku Kalı is not responsible for the leak. Not is he a “hero”. He is nothing but a citizen of Turkey performing his military service, one of the 465.197 soldiers of the Turkish Republic. One of the most powerful evidences for Utku Kalı’s innocence is the fact that Redhack continued to post new leaked information after Utku Kalı was taken into custody. It is impossible to think that Utku Kalı was the person giving this information. Beyond all else, at this stage in Private Utku Kalı’s legal battle the main point which must not be neglected is this: UTKU KALI IS INNOCENT. HE WAS ARRESTED WITH NO JUSTIFIABLE REASON AND NO EVIDENCE AGAINST HIM, BEFORE NECESSARY LEGAL CONDITIONS WERE MET and an advance verdict was pronounced against him directly by Government officials. For this reason all the necessary steps must be taken for Utku Kalı to regain his freedom as fast as possible and get back to his normal life.